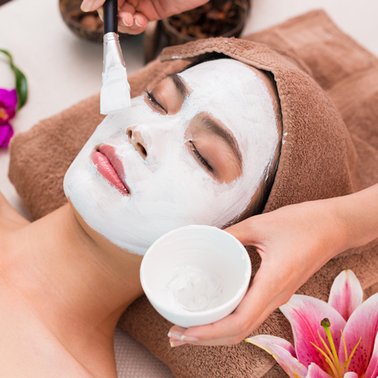 A Jazz-mine Dry Skin Facial at our New Orleans salon is a magnificent treatment that will deeply hydrate your skin. The soothing effects of jasmine and ylang ylang provide intense moisture to dry, parched facial areas, while helping to soothe irritation and improve skin tone. We will start with a gentle cleansing and exfoliation that will effectively remove dead skin cells and toxins, followed by a re-hydrating moisturizer. Gentle facial massage and the relaxing effects of ylang ylang will allow you to leave your cares behind. Your skin will emerge softer, smoother, and thoroughly quenched. The estheticians at our New Orleans salon will gladly assist you with any questions or concerns you may have regarding your skin care. Make an appointment today to see what our facials can do for you!